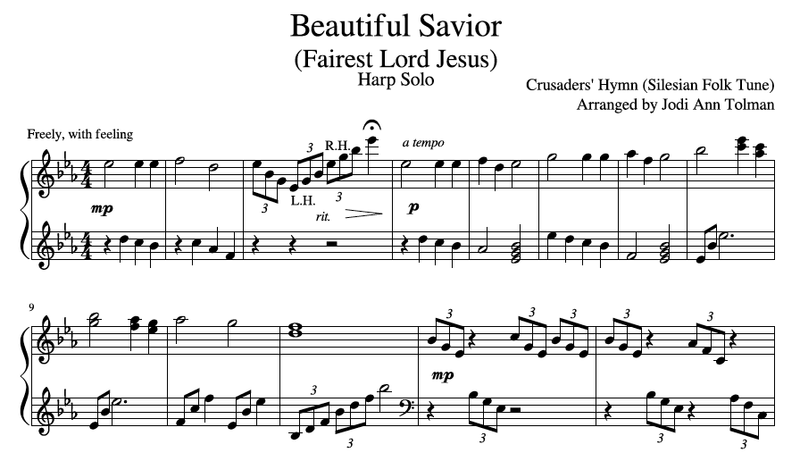 This harp solo arrangement of Beautiful Savior has many different elements making it a joy to play and to listen to. It is perfect for any worship service, especially Easter. 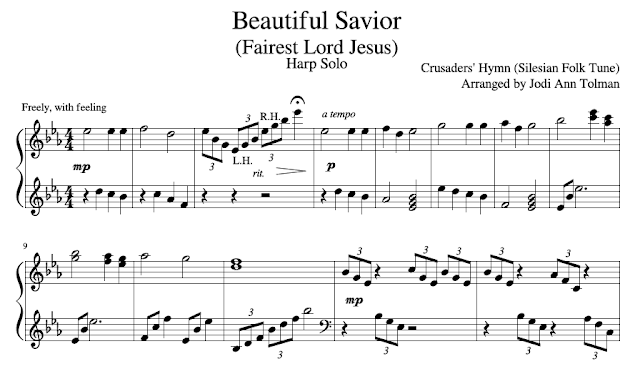 The first verse contains a section of downward triplet arpeggios that are later heard again in the third verse, giving this piece a classic harp feel. The second verse brings in some sixteenth-note grace notes, embellishing the melody before transitioning into a full, grand sound in the third verse.